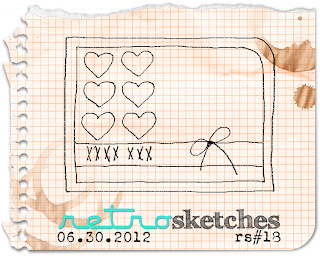 This weeks sketch at RetroSketches is based on THIS fabulous card created by Jackie Rockwell. 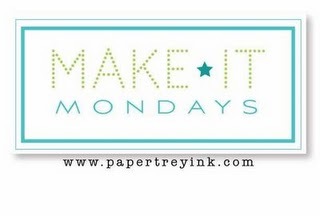 I combined this challenge with this weeks Make It Monday challenge stamping on patterned paper. I created a white focal panel and embossed with one of my favourties from Cuttlebug. I die cut and stamped with Versamark and embossed four ice cream scoops that were adhered with foam dots. A strip of patterned paper from Lawn Fawn was added to the bottom and the sentiment was stamped on to it. I used my Crop-a-Dile to notch the sides of my panel to hold the twine that was wrapped around the white panel. Tracey, this is absolutely gorgeous! Clean and crisp...love it! Ahh! Love those bright cheery scoops of ice cream! Fabulous take on both challenges. 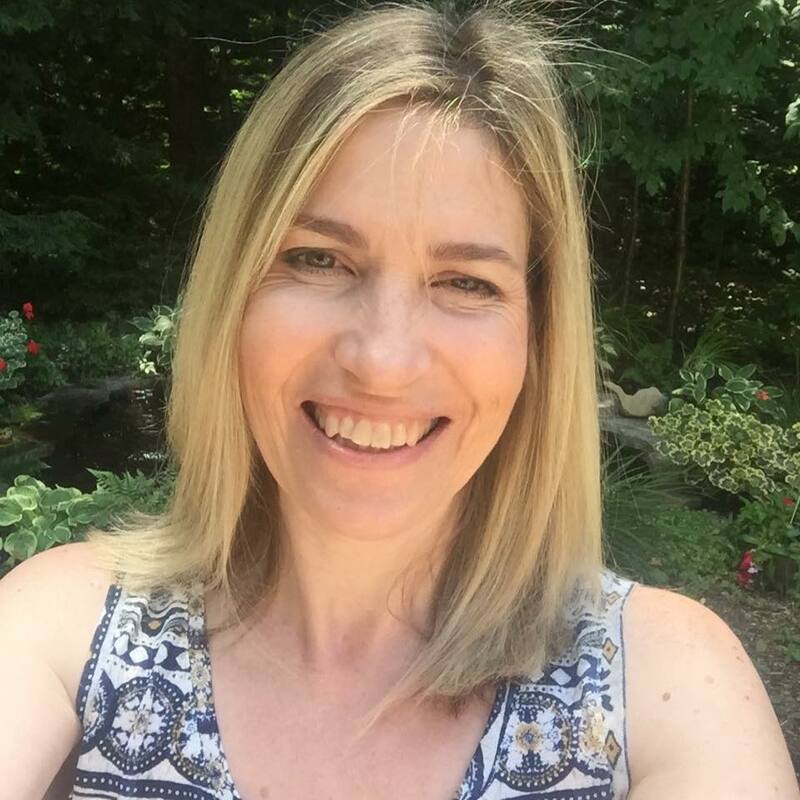 Super cuteness Tracey, love the polka dot embossed background!! I love it, Tracey! The patterned paper, the colors, the stamping...and holy moly what an awesome dot impression you get with your machine! Super cute! I like that you are using some of the older dies. Great take on the sketch and MIM challenge. Another ice cream card! Is it as hot where you are as it is here (107 today)? I love the "cool" theme! 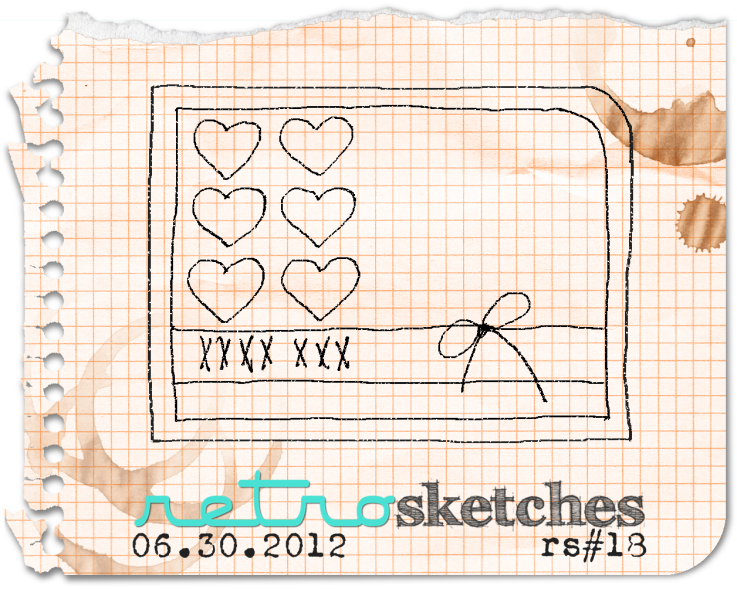 You did a great job with this tricky sketch--it's a very fun, upbeat card! Wow--you are really into the spirit of summer with these ice cream cards. That is one of my favorite sets, because I love ice cream, and it is so darn cute. I love that paper you used. Ha ha--I have some, too. Super sweet card. Yummy, this is delicious! LOVE it! At first I thought the patterned paper that you stamped the sentiment on was ribbon. It looks great! Love the bright colors. Yummy card Tracey! I love those scoops. Tracey, this card is just the cutest! What a clever idea using the ice cram scoops, just adorable. A winner for sure!!! Tracey, what a cute card. Very nice CAS card. So sweet, Tracey! 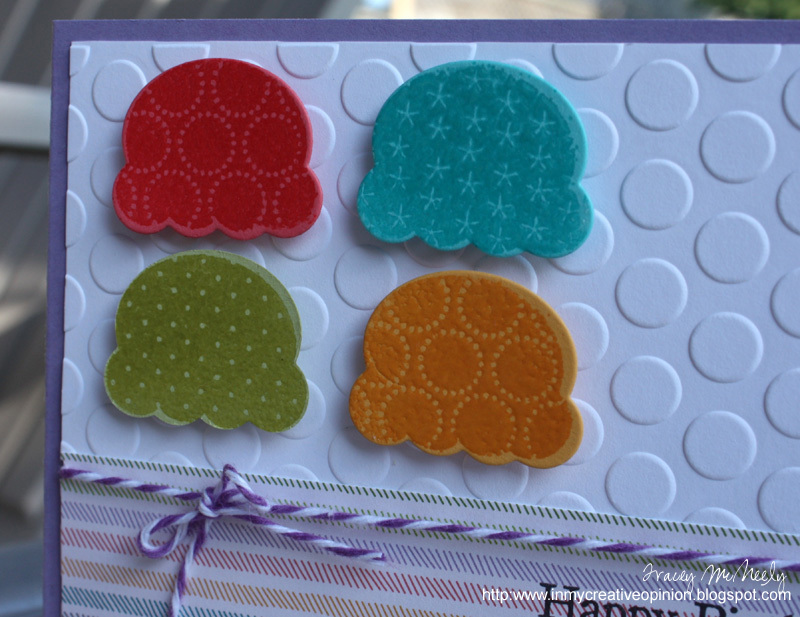 Love the embossed polka dot background, too! This is darling! I love the embossed background! And a fun use of the scoops! Thanks for playing along at RetroSketches! This is just a delicious card!!! Tracey, this is such a sweet card ;) ~ I love your choice of patterned paper! Cute! Super bright and fun and those ice creams look yummy!